This is a man who has a horrible job to do, but he’s still diligent and treats each prisoner with respect. He’s a nice guy. He cares. He’s the kind of bloke you or I might hang out with. You can easily imagine him as secretary of your local branch. If we brought a motion calling for crucifixion to be banned, the idea would be so radical that he’d initially be shocked, but once he realised that such a thing is possible he would become a passionate advocate. According to YouGov, David Cameron’s approval rating has shifted from -25 to -18 over the period of the recent tax avoidance story. This improvement flies in the face of the media view that Cameron would suffer the charge of hypocrisy for condemning Jimmy Carr, when so many Tory donors are guilty of the same. 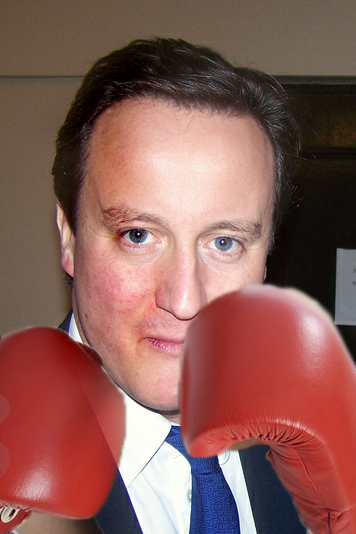 It now seems that Cameron was in touch with the public mood. The media taunts on Cameron’s hypocrisy have served little other than to highlight the Prime Minister’s intervention, while swatting Ed Miliband into the shadows and out of public glare. The crackdown on tax avoidance is now a Tory issue to be grabbed, while Miliband has so far been uninspired on a territory that the public would expect to be owned by Labour.